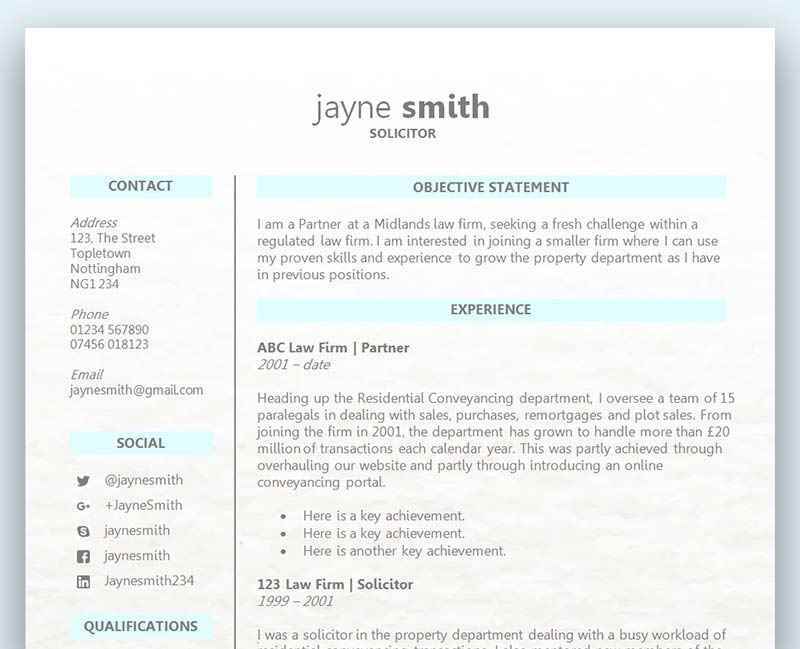 Our 'Contact Icons' CV template is a free template in Microsoft Word (.docx) featuring a smart split design. On the left, there's room for a photo if you want to include one - and underneath, you can add all of your contact information including your social media profiles. This helps your prospective employer see that you are actively sharing and commenting on industry-specific issues. Free contact icons Word CV template	Overall rating:	4.3	out of 5 based on 125	reviews. This CV template uses tables and splashes of blue and grey to create a simple layout that catches the eye. It includes a photo but if you decide you don't want to use this, you can easily delete it or replace it with a generic person outline. This is our second gorgeous ‘Contact Icons’ CV template (click here to see the first, which we released in October 2016), giving you the ability to add more than the usual contact information to your curriculum vitae. The way employers recruit is changing – more people than ever before will go online to find out more about a job applicant before they invite them in for an interview. You should expect would-be employers to check out all of your social profiles and adjust your activity accordingly. Where a job applicant tweets, shares and comments on content relevant to their industry, a prospective employer can see that they are actively involved in and concerned with its development. Be careful though – too much sharing and tweeting, particularly during work hours, gives the impression that you spend your days on social networks rather than doing any work. You’ll notice that this free Microsoft Word CV template has space for your photo. Should you include one? We’ve written a helpful guide that covers all the pros and cons of including a photo on your curriculum vitae – click here to read it. If you decide you’d rather not use the photo, we’ve created a version of this CV template where no photo is included – click here to download it. Shall I keep the font? We’ve used Arial Narrow throughout this CV template and we think it works well. However, not everyone loves Arial (or Arial Narrow!). In fact, some experts argue that Helvetica or Garamond are the best CV fonts to choose – click here to read our article on choosing a CV font. It’s quite easy to change the font across the whole CV template – in Microsoft Word on the Home tab, just choose SELECT > SELECT ALL then choose your font from the drop down. Shall I keep the colours? We think the use of colour in this CV template is quite subtle. Most of the text is black with blue for the headings, grey for the borders and a range of blue shades for the icons. You certainly aren’t overdoing it when it comes to colour – but not everyone likes a colourful CV! Ultimately whether you keep the colour or not is completely up to you. You could go to the Home tab in Microsoft Word and choose SELECT > SELECT ALL, then choose a single font colour (e.g. black) for the whole CV. This gets rid of the blue for headings but retains the soft grey lines that divide up the page (and trim each side of the headings). The end result is equally as attractive and may be more appropriate for high-end professional roles. We hope you love using this CV template – but if it’s not what you were looking for, why not check out our full free Microsoft Word CV templates collection? You’re bound to find another template that you love!